Display Stand Min supports bike at both tires and bottom bracket shell. Tire holder position is adjustable to fit various wheelbase sizes. 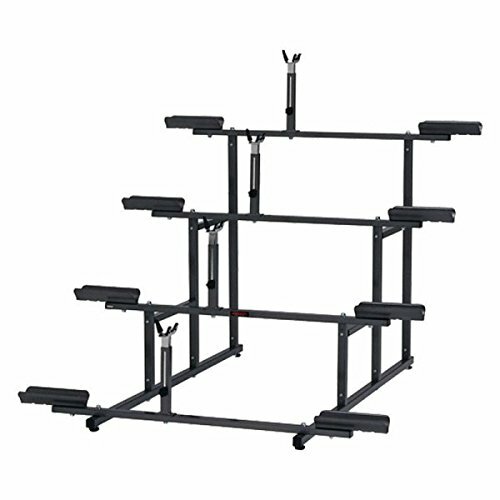 BB support is fully height adjustable. Some types of bike frames are not compatible due to BB shell design. This product is manufactured in Japan.